Formed deep under the Earth’s crust billions of years ago, diamonds are the world’s most sought-after treasure and have captured our imagination for centuries. Complementing our own carefully selected diamond collection are two of the world’s most respected brands, Hearts On Fire and Maple Leaf Diamonds. Reflecting our obsession for perfection, we only ever work with brands whose artistry and expertise reveals the true magic of diamonds. That’s why we’ve partnered with Hearts On Fire, creators of the World’s Most Perfectly Cut Diamond, and Maple Leaf Diamonds, known for unique and traceable Canadian treasures. Showcasing an array of impeccable diamonds and unrivalled designs, we sincerely believe you will fall in love and find the one with us. 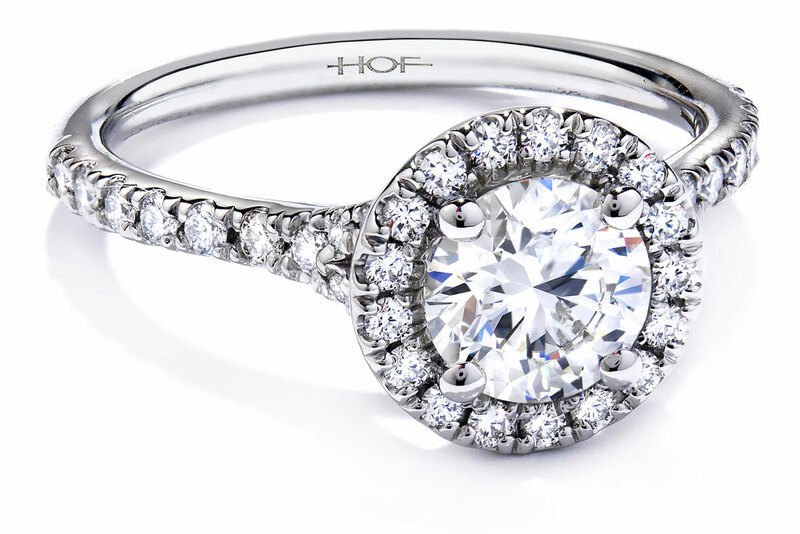 For those searching for maximum brilliance and fire, Hearts On Fire cut their diamonds at ten times the industry standard for the ultimate in eye-catching sparkle. Looking for something truly unique? 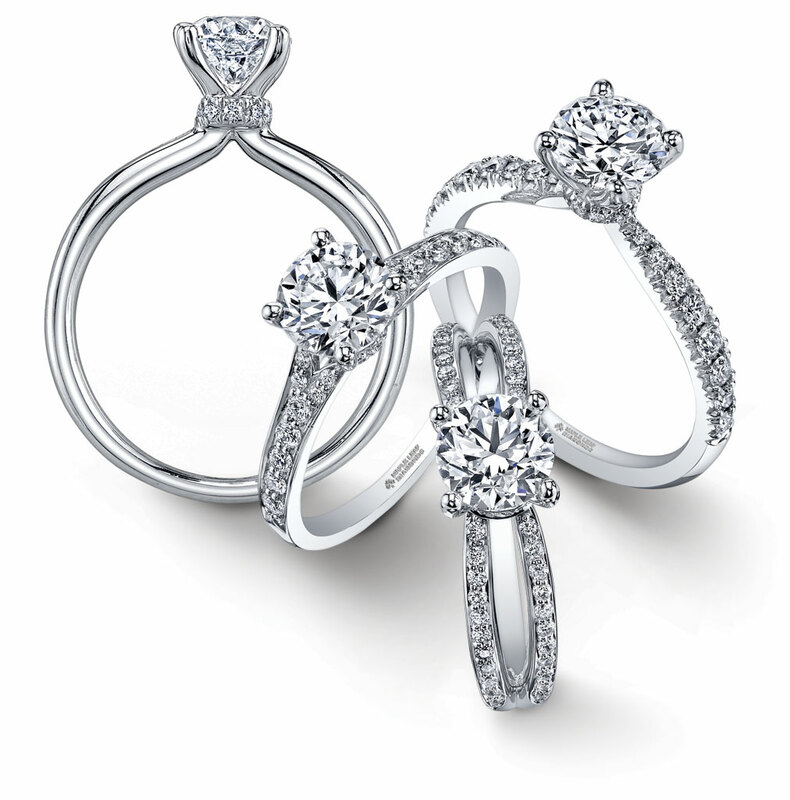 Maple Leaf Diamonds create intricately designed treasures that will turn heads with their one-of-a-kind beauty. We know you are in pursuit of perfection, and these two exceptional brands will help, if not end, your search for true love. Founded in 1996 by Glenn and Susan Rothman, Hearts On Fire became the world’s first branded diamond – the only diamond in the entire world whose cut is deemed perfect every single time. Their story began when Glenn Rothman discovered an unusually cut diamond in Belgium, displaying an amazing heart and Fireburst® pattern – a design which ensured the maximum amount of light was reflected. Inspired by this unique creation, he created the Hearts On Fire diamond that is world-renowned today. Creators of The World’s Most Perfectly Cut Diamond, Hearts On Fire diamonds are cut and polished at 100 x magnification - ten times the industry standard. Less than a tenth of one percent of the world’s natural diamonds pass the Hearts On Fire test. Capturing light in such a way that it reveals perfectly symmetrical hearts and the brand’s own Fireburst® pattern every single time, Hearts On Fire diamonds are said to outshine any other. The combination of breathtaking beauty and the perfect cut results in an unrivalled finish of precise proportions and polish, creating maximum brilliance and fire. On a planet of 7 billion people, only a select few can craft a Hearts On Fire diamond. Each person is a passionate artist and a skilled expert at releasing the light and life from each diamond. Requiring a cutting process that combines mathematics and science in a formula unknown to anyone else in the industry, Hearts On Fire artisans take four times as long to cut and polish diamonds with a mirror finish – taking the heart-felt time to creating a brilliant work of art. Created by Italian designer Ilaria Lanzoni, the Aerial collection is a perfect mix of romance and passion. Taking inspiration from natural atmospheric elements that originate from or live in the air such as sun, rain drops, butterflies and snowflakes, the exquisite pieces in this range exude a powerful blend of mystery and charm. Beautifully individual, this collection also uses a unique combination of only perfectly cut, round Hearts On Fire diamonds to create the striking illusion of other diamond shapes, such as marquise, pears and more. Only ever thinking of you, we’ve chosen to design the Hearts On Fire Transcend collection with a heavier shank for ultimate durability and exceptional quality. Exclusive to us, the pieces in our Transcend collection are the perfect way to enhance Hearts On Fire’s world class diamonds for the most brilliant sparkle. Formed over three billion years ago and once hidden under 3,000m of pristine Arctic wilderness, Canadian diamonds are considered to be among the world’s most exquisite and brilliant gems. Quietly waiting to be discovered, the Ekati Diamond Mine – Canada’s first diamond mine and where Maple Leaf Diamonds are still mined today - was founded in 1991 in the breath-taking Northwest Territories by Canadian geologist Charles Fipke after more than a decade of exhaustive exploration in extreme conditions. Emerging from the frozen tundra as beautiful one-of-a-kind treasures, Maple Leaf Diamonds truly are synonymous with the purity and beauty of the immaculate Canadian North. Each Maple Leaf Diamond is laser engraved with three marks of authentication: a tracking number, the CanadaMark symbol and the Maple Leaf insignia. Guaranteeing that every superb stone is mined in Canada and is authentically natural and untreated, Maple Leaf Diamonds are as pure as the majestic ice fields of Canada’s great white north. The unique tracking number means you can trace the journey of each diamond from the rough crystal to the finished treasure, the CanadaMark symbol is a validation of each diamond’s Canadian origin and the Maple Leaf Diamond insignia indicates quality assurance. 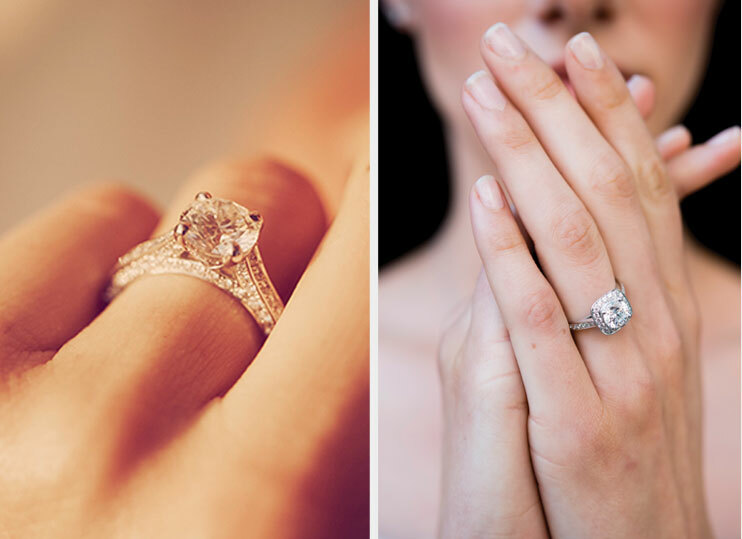 The most beautiful diamonds deserve the most perfect settings, and that’s why Maple Leaf Diamonds have chosen 18ct PureWhite Gold bands for all of their engagement rings and jewellery. Made exclusively with Canadian gold from the Royal Canadian Mint, PureWhite is a new and unique form of white gold which uses palladium as a whitening alloy. Boasting the purity of platinum, palladium is the perfect alloy for white gold due to its high durability, greater scratch resistance, hypoallergenic qualities and its natural silver-white colour for a brilliantly bright white finish. Representing the swirling winds of the Arctic, the Wind’s Embrace collection from Maple Leaf Diamonds showcases a whirlwind of beauty across a range of glittering rings, pendants and earrings. The brilliantly cut Maple Leaf diamonds are carefully cradled in a stunning swirling four claw setting of PureWhite Gold to personify the wind’s embrace, perfect for sparkling in a truly unique way.